Key Biscayne was made for pleasures, but it’s not a crime-immune area. Criminal assaults occur there regularly, and if you are one of the victims or murder survivors, you’ll need help from our Key Biscayne crime victim compensation attorneys of the Wolfson Law Firm. Call us at (305) 285-1115 for free consultations. We are standing by to answer your questions. Key Biscayne is an island-town in Miami-Dade County. It receives millions of tourists from the United States and all around the world every year. It is located south of Miami Beach and east from Miami. The weather usually is nice, but when hurricanes are on the rise, it’s one the first places to be evacuated due to its low elevation. This is not a complete list of crimes that could cause you injuries. If you’ve been injured in a different event, make sure you consult a Miami criminal victim injury lawyer on the issue. Suffering an injury because of the aforementioned or other crimes in Key Biscayne will put you on a three-avenue crossroad for damages recovery. The most straightforward of them is waiting for conclusion of the criminal proceedings. When the criminal offender’s guilt is proved, his liability for your injuries is proved as well. Recovering from him should be easy but criminals rarely if ever pay the full measure of their damages. In that case, you could turn your attention to third parties or persons who could be legally responsible for compensating you. When the injury-causing crime has occurred on premises under control of a third party or person, that person may be liable for your damages or injuries. Owners of retail stores, gas stations, bars, and other commercial establishments that invite visitors and guests onto their premises owe a duty of care to their visitors. They must take all the reasonable measures to prevent injuries on their premises. If a breach of this duty leads to the crime in which you sustained your injuries, the owner of the premises may be responsible for your harms and losses. The last avenue is the Florida Bureau of Victim Compensation. The administrative procedure with them is quite simple if you meet the requirements set by Florida laws. 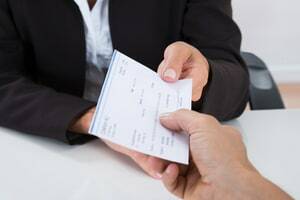 Keep in mind that you’ll have to provide them with lots of documentation to prove your right to get compensated and your recovery will be limited to economic damages. The Key Biscayne crime victim compensation attorneys at the Wolfson Law Firm have helped injury victims in Miami and Key Biscayne since 1963. Damages recovery procedures might seem straightforward, but those who have tried to represent themselves know that it’s different in practice. Call us at (305) 285-1115 for free consultations. You’ll pay nothing unless we recover for you. Don’t be a silent victim – call us to help you get the justice and compensation you and your family deserve.